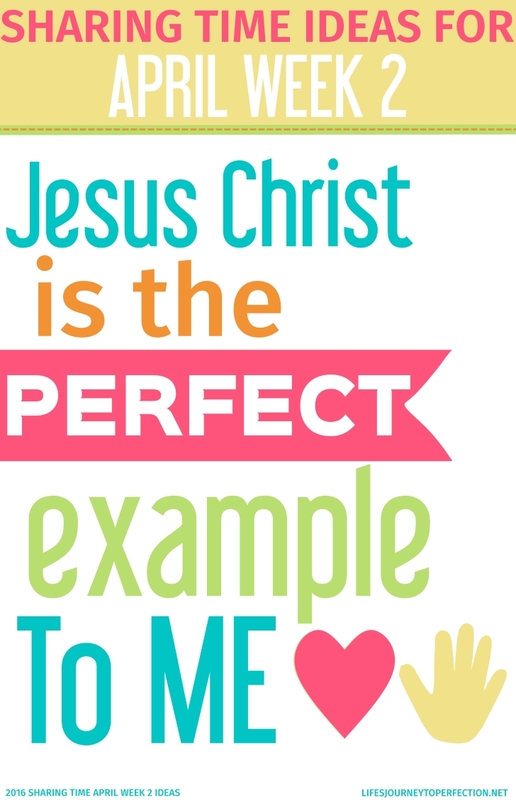 Life's Journey To Perfection: 2016 LDS Sharing Time Ideas for April Week 2: Jesus Christ is the perfect example for me. April 2016 Scripture: “We believe that through the Atonement of Christ, all mankind may be saved, by obedience to the laws and ordinances of the Gospel” (Articles of Faith 1:3). April Week 2 Topic: Jesus Christ is the perfect example for me. Before sharing time place one of the egg printables along with the picture of Christ underneath a chair in each of the classes. So for example you will place an egg and a picture on the bottom of one of the sunbeams chairs and another one under one of the CTR 4's chairs and so on. 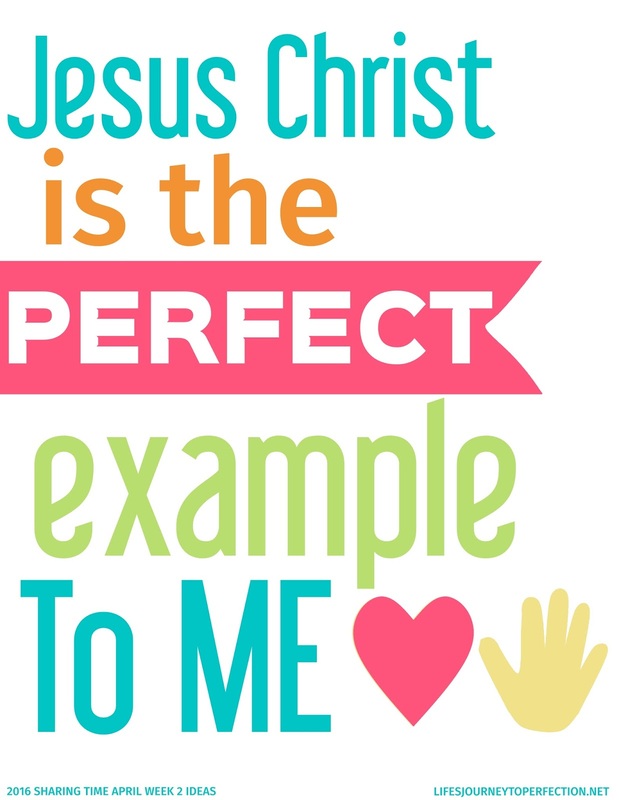 Show the week's theme poster, "Jesus Christ is the Perfect Example for Me". Invite the primary children to repeat the phrase. Ask the children to share with you why they think Jesus is the Perfect example for them. Invite the primary children to sing, "I'm Trying to be like Jesus". Discuss the song with the primary children, ask them questions such as, "How can we Love as Jesus did?" and "How are we supposed to Love one another?" Explain that you are going to have them go on a little Egg Hunt to see how Jesus is the perfect EGGS-ample. Explain that under a chair in each class are some Eggs with a picture about Christ being and Example to us. When you say go, invite the primary children to look under their chairs and find the egg and the picture. Explain that once they have found them, as a class they are going to read the scripture and look at the picture and discuss as a class what Jesus did to be and example. You will give them 5 minute to discuss as a class then, invite one class at a time to come up and explain how Jesus was the perfect example for them to follow. To conclude give each of the primary children the handout and invite them to go home and think about how they can follow Jesus' example to love others as well as follow his example to serve others. Invite them to share this with their family. Luke 2:40- Picture of Childhood of Jesus Christ- Discussion: Grew in Wisdom and in the Spirit, we can follow his example by obeying our parents and gaining wisdom as we read our scriptures and learn. Matthew 3:13-17- Picture of John the Baptist Baptizing Jesus- Discussion: Although the Savior was perfect he was baptized to be an example to us. We can follow his example by being baptized members of the Church of Jesus Christ of Latter-day Saints. Matthew 5:1-2 - Picture of Sermon on the Mount- Discussion: Jesus teaches the multitude. As we follow the Savior's example we will share the gospel with others. John 13:34- Jesus Washing the Apostles Feet- Discussion: Jesus was the perfect example of Love and Service. We can follow his example as we love all people and serve them. John 9:1-7- Christ Healing a Blind Man- Discussion: We learn a few things from this scripture, Jesus serve and loves all those he comes in contact with. Always doing His Father's work. He heals the blind man on the sabbath. We can follow the Savior's example as we serve those who are afflicted. We can strive each day to live our lives doing our Heavenly Father's will also. 3 Nephi 20:31- Jesus Praying with His Mother- Discussion: Jesus teaches how to pray to our Heavenly Father, both in word and by example. We can follow this example by praying to our Heavenly Father daily and in the name of Jesus Christ. D&C 6:23- Living Water- Discussion: Jesus was always an example of following and keeping His Father's commandments. He teaches us to do likewise. We can follow the Savior's example as we keep all of our Father's commandments. Luke 22:42- Jesus Praying in Gethsemane- Discussion: Jesus was willing to submit his will to Heavenly Father. We can follow his example as we live each day trying to do the things Heavenly Father would want us to do. Alma 5: 38-40- The Lost Lamb- Discussion: Jesus teaches that either we choose to follow Heavenly Father or we choose to follow the Devil. There is no in between. His example was that of always following Heavenly Father. We can follow this example by making good choices each day. Alma 34:10- The Crucifixion- Discussion: Jesus was the ultimate example of sacrifice! He laid down His own life so that we could all live again. He was selfless. We can follow His example as we selflessly give of our time an talents to building his kingdom on earth. 2016 LDS Sharing Time Ideas for April Week 1: Jesus Christ was chosen to be our Savior. Fun idea to go on an Easter egg hunt for the lesson! Thanks, Kim! I love the 'eggs-ample' idea. :) The kids always love Easter egg hunts! Thanks for sharing! 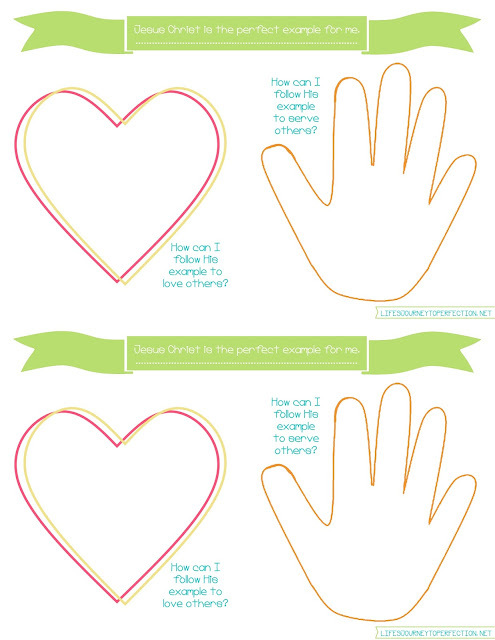 Great idea with the heart and the hand. Plus it's always fun to involve the holidays! I love your graphics and your ideas and use them most of the time. Thanks for all your efforts! Thank you so much for the scripture and picture ideas! I had been wondering what to do with SR Primary and these scriptures are perfect! Yay! I am so glad they are helpful!! I struggle with Jr. Primary(ages 3-7) and Sr. Primary(ages 8-11). 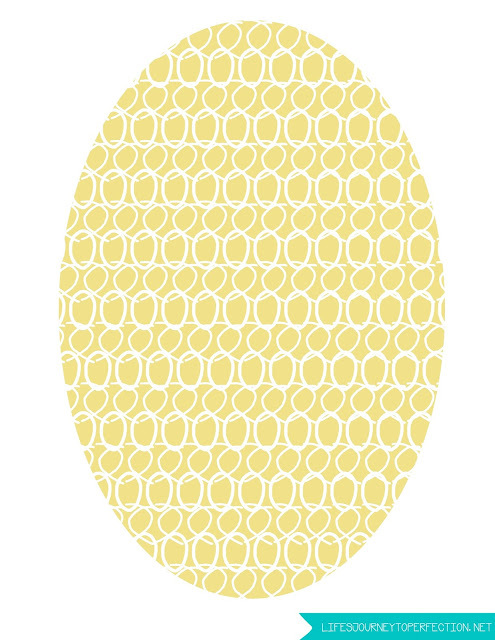 I love the Egg idea for Jr. Primary with the scriptures, did you do this for both Jr and Sr. primary? I'm also thinking of having hearts for the children to put into a jar the following week to show the service to their fellow man and being an example like Jesus...do you think that's too much for them to remember to do? Dennise I think the Hearts would be a great idea!! The kids always love to show that they have done something at home. I definitely think the egg idea could be used for both primaries. You just modify a little. With Junior primary they are going to love finding the eggs. The pictures are going to be great to help them visualize and discuss what the picture is about. As for Senior primary, they still like to hunt and find things. Their's could involve everyone in the class looking up the scripture, reading it and discussing it. I hope that helps. You are doing a great job!